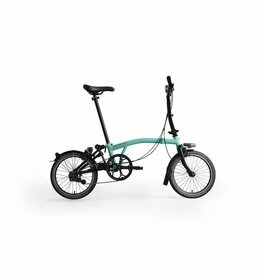 Mamachari is proud to be one of the few Brompton dealers in east London and our staff have been supplying and servicing them for over 15 years in one form or another. The unique Brompton folding bike was designed and built in London in 1975 by Andrew Ritchie in his flat in South Kensington opposite the Brompton Oratory. 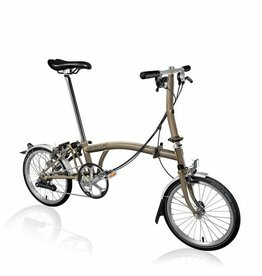 Still made in London today, Brompton is making over 45,000 bikes per year and is the UK’s largest bike manufacturer. 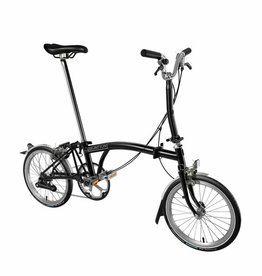 Its ability to fold into a small, portable package make the Brompton ideal for city living. The ideal city bike, made to the highest quality and easy to fold, transport and store. Available with a red frame and black extremities.